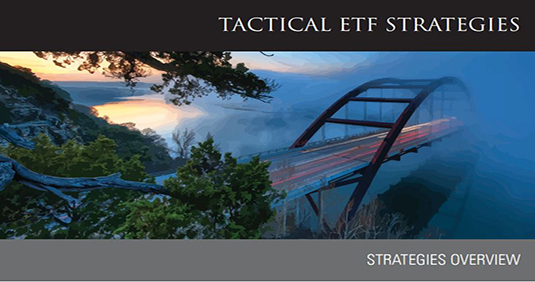 Our tactical ETF offerings range from 100% fixed income to 100% equity, including a series of target risk and target date asset allocation strategies. While we maintain a high level of complexity within our investment process, we choose to express that complexity by using straight-forward, market segment oriented ETFs. Each asset allocation strategy will hold, on average, 10-20 ETFs at any given time.